It’s nothing new that most new bloggers have got a bad impression of blogger.com as well as other free blog hosting platforms, that they go scouting for premium web hosting services to host their blogs, but most times, end up looking for cheap web hosts since they are just starting out. In the process of looking for inexpensive web hosts, many newbies make the mistake of paying for web hosting plans that grow to become one of their many mistakes online. You should know that most cheap web hosting providers are zero to none when it comes to user experience. If you’ve made up your mind to start or migrate to being self-hosted with WordPress.org but you do not have just enough for the expensive web hosting plans, then it will be advisable that you settle for a shared hosting plan from a reliable web hosting company. Shared hosting plans are cheap and great for your new WordPress blog. No doubt, there are many cheap and extremely cheap web hosting plans being offered and advertised online but just a few qualify to be described as ‘offering quality wordpress hosting services’. So, whatever you do, always read customer reviews of a hosting provider on reliable review websites. Bluehost is a great option for new bloggers in search of inexpensive and reliable web hosts for their new blogs. You can always upgrade to a better plan when your site traffic and exposure increases. Follow this step by step guide to get your WordPress blog up and running in less than an hour. You don’t have to wonder when and how I knew about the suggested WordPress hosting companies which are perfect for WordPress sites and great for new bloggers because I also do read reviews and I have hosted a few blogs with them and aside that, I recently moved my blog to one of the hosting company below. These companies are used by lots of WordPress users worldwide, so they do not lack customer reviews. Their hosting services are not only reliable but renowned and used globally. Below are some Reliable Hosting Companies offering Cheap WordPress Hosting plans. Bluehost is one of the most recommended and affordable Webhosting service for hosting a WordPress blog. There are several hosting packages to choose from. Bluehost hosting plans are graced with free SSL certificate which is important for search engine ranking. With just $2.75/month (normally sold at $7.99/month)you can grab yourself a BASIC shared hosting plan for the first year. 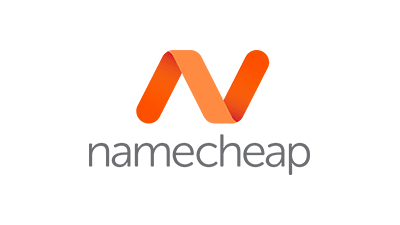 Namecheap in definitely not a new name in the web hosting world. It has severally been tagged as of the best by webmasters and customers due to their outstanding hosting offers, domain offers and customer support team. Namecheap offers an extremely cheap and reliable shared hosting plan of which the VALUE plan costs just $9.88 for the first year. This heightened offer is perfect for anyone just starting out. 50 email accounts and a host of many other features. Recently, the Namecheap team launched a manage WordPress hosting called “Easy WordPress”. Although it’s still in its beta stage, its price of $8.88 for the first year is quite appealing. Siteground is another hosting company that stops at nothing when it comes to delivering the best services to customers. The company offers various hosting packages, and the shared hosting package will just be great for a beginner. Siteground’s cheapest shared hosting plan is the STARTUP, which is just okay for a new and growing blogger. The shared hosting startup plan is currently being sold for $3.95/month, 60% off its regular price of $9.95/month. InMotion Hosting is another Web-hosting company popular for their server quality and great customer support. Like most web hosting companies, Inmotion hosting offers unlimited hosting storage and bandwidth. Inmontion’s LAUNCH shared hosting plan offered at $2.95 off its regular price of $6.99 will definitely interest you once you are ready to start off as a WordPress user. Amongst many web hosting companies, the above listed are known for their reliable and inexpensive WordPress hosting services currently available to you even at discounted levels. There are definitely other reliable web hosting companies that will be added to the list above as time passes by. Hello there, Onome! Do you use any of the companies listed above? My blog is currently hosted on namecheap and the experience has been amazing.